As the holidays are right around the corner I wanted to share an amazing find from one of my favorite online stores called Chicwish. Chicwish is an online website that has the most beautiful feminine blouses in all sorts of trendy colors. This Crochet Chiffon Peplum Top in a blush pink color is one of my favorite finds and I love the peplum silhouette for my body shape (I am wearing a size small for reference). 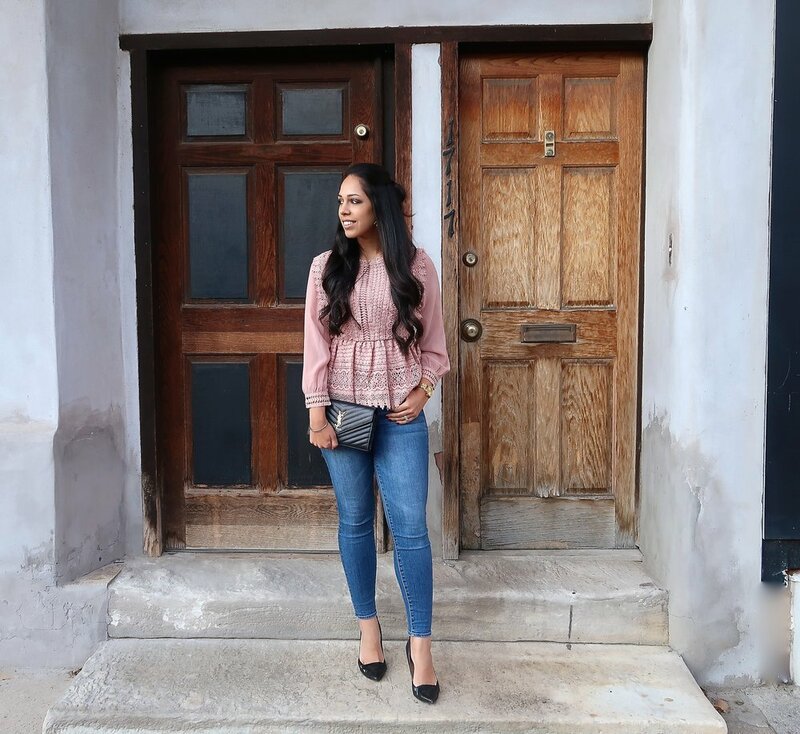 Peplum tops are perfect to pair with denim without feeling boring. Peplum tops have been around for years and they are one of my favorite trends.